Most of us are still reeling from the huge impact this winter’s extended freezing temperatures had on our fuel bills. What if you could save $1,000 next year on these expenses? How? 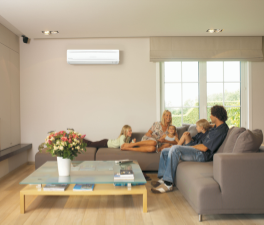 By installing one of the most efficient products available – a Heat Pump. As much as 50% of the energy used in your home goes to heating and cooling, so making smart decisions about your heating and cooling systems can have a BIG impact on your utility bills – and your comfort! Installing a new, high-efficiency heat pump can slash your utility bills by as much as 30% and save you approximately $1,000 annually! Air-source heat pumps move heat rather than converting it from a fuel source like combustion heating systems do. This allows them to reduce energy consumption significantly AND keep you comfortable all year with both heating and cooling features. 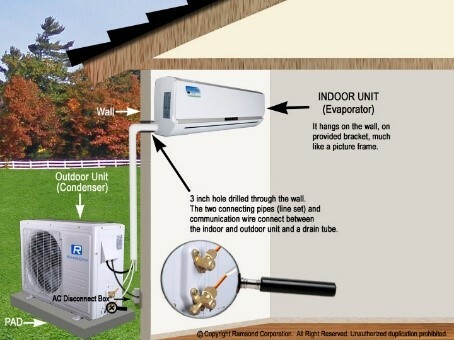 Heat pumps are minimally invasive to install, are quiet to run, and even improve indoor air quality! Your savings are improved even more by taking advantage of some amazing rebates that are available right now! Efficiency Maine rebates offers rebates on your installation of up to $750 – $500 rebates are available toward installation of ductless heat pumps that provide a single or first zone of heating in your home, and an additional rebate of $250 is available for ductless heat pump installations that provide a second zone of heating in your home. Fujitsu is offering an instant $750 rebate on a new unit when installed by a participating contractor – which Gelinas is proud to be one of! Even more benefits to you when you install one of these high-efficiency units is an extended warranty. Gelinas is certified as an Elite Contractor with Fujitsu, one of the top manufacturers of heat pumps. With this Elite Contractor status, we receive premier level training, priority service and support, and can offer our customers a 2-year extended warranty for a total of 12 years on the compressor and parts of their heat pump. Use Fujitsu’s Energy Calculator to determine how much money switching to a heat pump system can save you annually. Greater energy efficiency means BIG utility costs savings, instant rebates save you BIG on your installation costs, and an extended warranty offers you a BIG promise on the care of your unit – that a Win-Win-Win! So put your tax return to good use and make a down-payment on a new Heat Pump, and remember, you can finance the rest directly with Gelinas through our no-money-down, low interest financing!